SURABAYA, INDONESIA (Monday, 27 February 2017) – Wyndham Hotel Group today introduced its namesake Wyndham® brand to Indonesia’s second largest city with the opening of Wyndham Surabaya on Friday, 24 February 2017. The 292-room upscale hotel, formerly known as Pullman Surabaya City Centre, joins the Wyndham family under a new management agreement with owners PT Gloria Ramayana Inter Hotel. Located on the island of Java, Wyndham Surabaya marks Wyndham Hotel Group’s sixth hotel in Indonesia and the second to open in just two months following the addition of the beachfront Wyndham Tamansari Jivva Resort in Bali. The hospitality giant is making waves across South East Asia and the Pacific Rim, adding 27 hotels in 2016 and recently celebrating its 100th hotel milestone in the region. Citing rising demand due to relaxation of tourist visa regulations, the Indonesian Tourism Ministry recently revealed their goal of attracting 15 million international visitors in 2017, a 25% increase from 2016. “Tourism in Indonesia has risen sharply over the years and Surabaya’s expanding industrial and business sectors, growing economy, and improved infrastructure are driving the demand for quality, branded hotels,“ said Barry Robinson, President and Managing Director of Wyndham Hotel Group South East Asia and Pacific Rim. 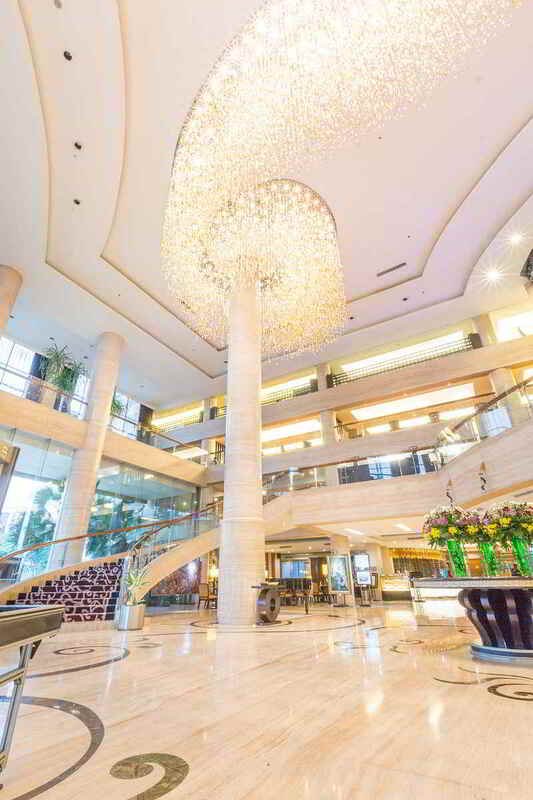 Wyndham Surabaya is located along the lively Jalan Basuki Rahmat Boulevard in the heart of Surabaya's financial centre and minutes from Tunjungan Plaza, the city’s largest shopping mall. As Java’s commercial hub and the gateway to many of the island’s historical and natural attractions, Surabaya is becoming an increasingly popular destination among Indonesian and Asian travellers. 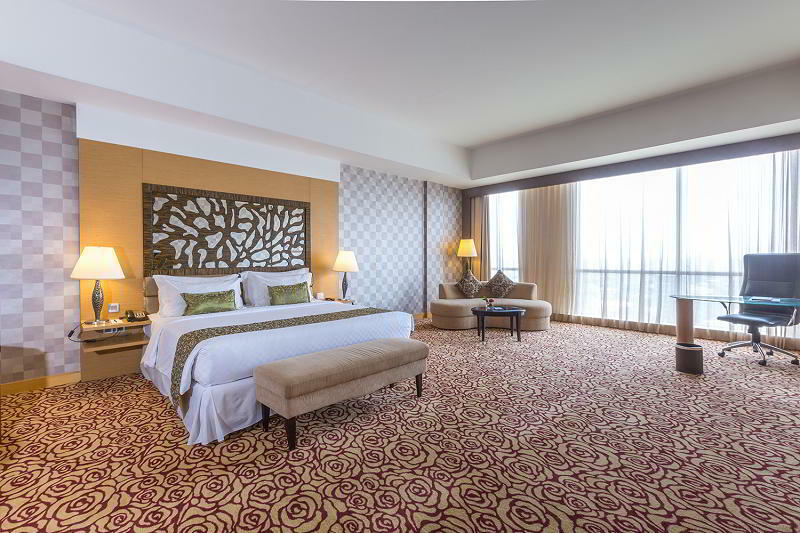 Each of Wyndham Surabaya’s guest rooms features warm and contemporary furnishings, Asian design elements, breathtaking views of the city skyline, a bath tub and separate shower room. The hotel also offers two-bedroom apartments and Presidential Suites with a spacious 283m2 of living space. Premium amenities include free wireless internet access throughout the hotel, an outdoor pool, a wellness centre with a sauna and hot tub, and a day spa. The hotel will undergo a renovation this year to introduce refreshing new food and beverage concepts. The hotel’s nine venues for meetings and events can accommodate up to 750 people. All rooms enjoy natural daylight and come with comprehensive conferencing and banqueting services. All Wyndham Hotel Group properties in South East Asia and the Pacific Rim participate in Wyndham Rewards®, the simple-to-use, revolutionary loyalty program from Wyndham Hotel Group that offers members a generous points earning structure along with a flat, free-night redemption rate. Information is available at www.wyndhamrewards.com. Deluxe Room rates start from USD85 a night. For general enquiries or reservations, please email [email protected]or call +85 (031) 535 1555.